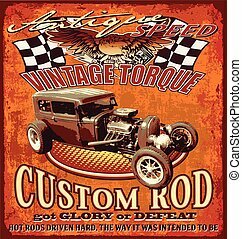 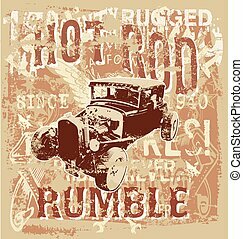 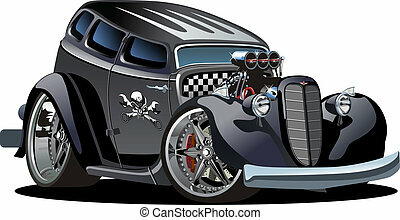 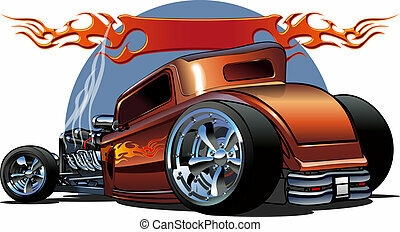 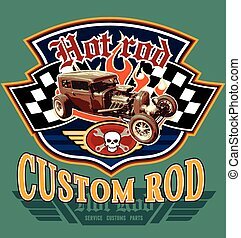 Very cool hot rod, retro-rod, street rod, high-boy vintage coupe with flames cartoon illustration. 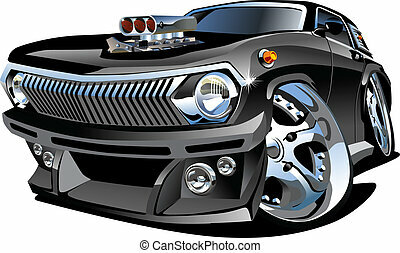 Mean, low and black, aggressive stance, big tires and rims. 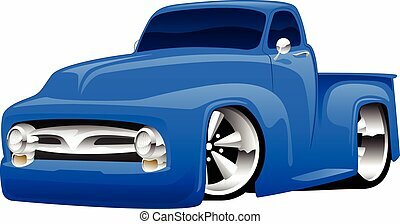 Very sharp, clean lines, a crisp illustration. 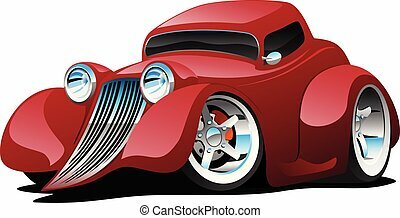 Hot looking vintage 1933 style street rod high-boy coupe custom car cartoon with big tires and rims, smooth flowing fenders, high gloss black paint job and lots of chrome. 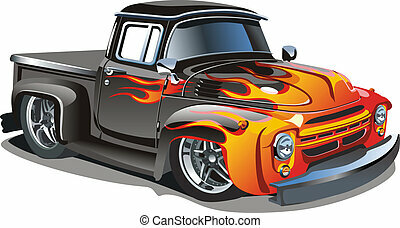 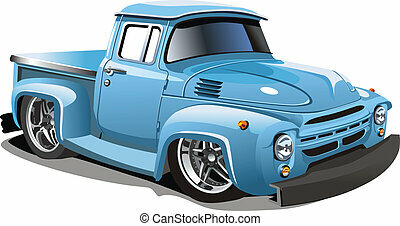 Classic vintage hot rod American muscle pick-up truck cartoon illustration, big rims and tires, custom paint. 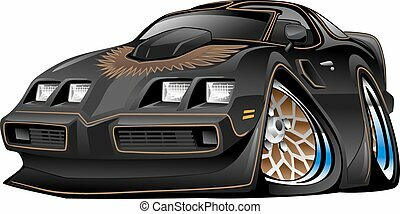 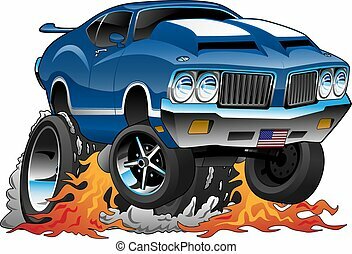 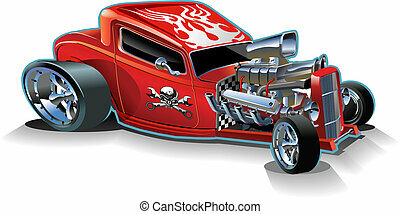 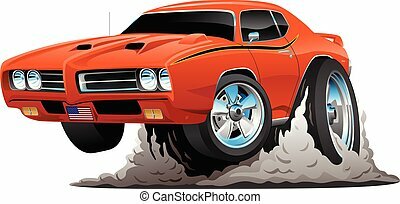 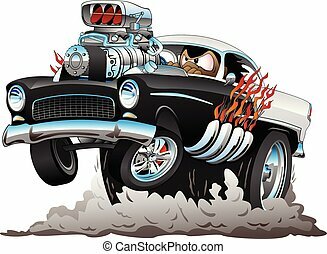 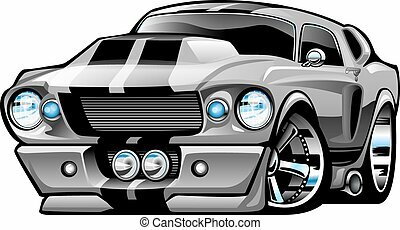 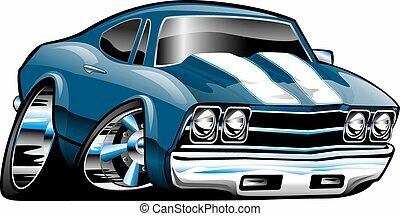 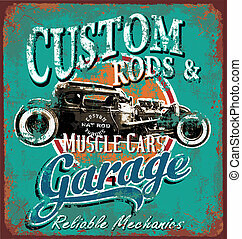 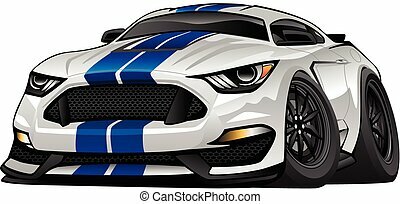 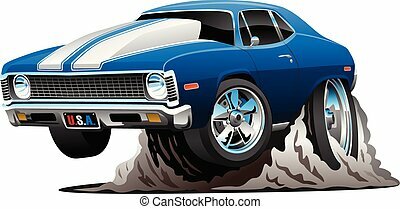 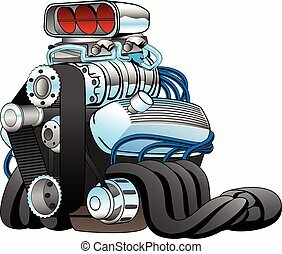 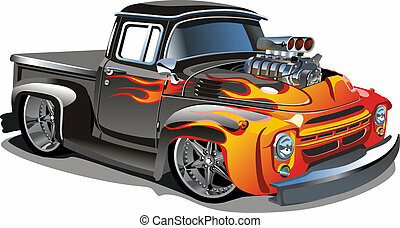 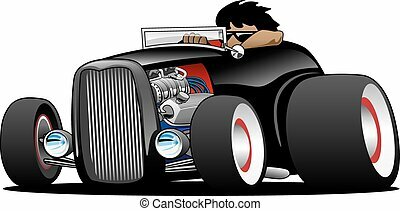 Very cool muscle car hot rod race engine vector cartoon graphic illustration in bold colors and lots of chrome. 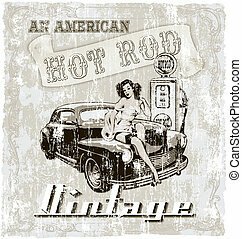 Hot American 1950?s style muscle car cartoon. 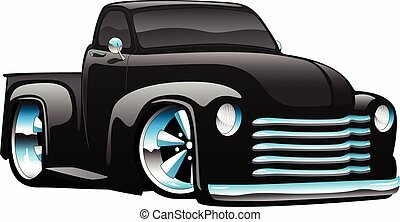 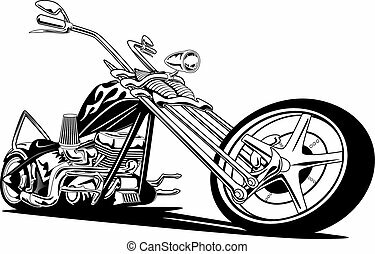 Glossy black and white paint, huge chrome engine with blower, flaming exhaust pipes, big smoking wheels and tires, popping a wheelie.